Dave Ramsey has launched a new budgeting software and app this week! The best part is that the basic version of EveryDollar is FREE! With this app, it makes it easy for you to track transactions on the go. 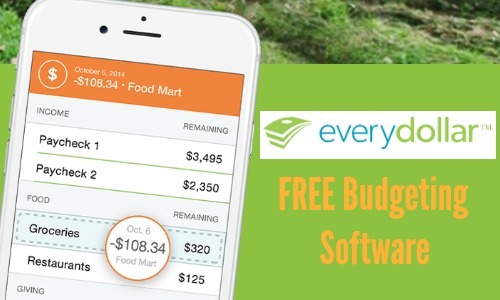 You could even check your budget at the grocery store so it’s really handy to have on hand. It allows you to quickly update your budget to know how your doing with your money at any point in time and see what you are spending your money on. If you’re trying to manage your finances and don’t know where to start, check out this FREE app!